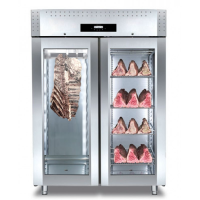 Refrigerated Serve Over Counters and Butchers/Deli Display Fridges, perfect for large range of Produce Presentation including Meat and Delicatessen produce, Pastry & Bakery, Food & Retails. The commercial Serveover Fridge Display Counters are fully customisable to please everyone's requests. Our Display Counter are of high quality, Made in Italy and they come with Free Delivery, Warranty & 10 Years After Care!